Newcastle University is one of the UK’s 24 elite research-intensive universities. Based in the heart of the campus, the INTO Centre offers English language courses and academic pathway programs, which lead to a wide range of bachelors and masters degrees at Newcastle University. INTO Newcastle University offers a variety of specialist academic pathway programs designed in partnership with Newcastle University. These programs help international students prepare for UK degrees by developing their academic knowledge, study skills and English language, if needed. If students can’t meet the English language or academic requirements for direct entry to the University, INTO Newcastle can help them to achieve this. INTO Newcastle has an excellent success rate, with 97% of students completing their pathway program in 2016-17. The modern INTO Centre is home to everything students will need in one place. There’s an architecture studio and science laboratories, contemporary classrooms, an extensive library, a Language Resource Centre, support services and the INTO Café. INTO students also have access to University facilities, including the library, Sports Centre, clubs and societies, and the Students’ Union. Students at INTO Newcastle can choose to live on campus, just a three-minute walk from the INTO Centre, or with carefully selected homestay hosts. The self-catered campus accommodation provides a safe and sociable living space, with a choice of three room types. 01Newcastle University is ranked joint 141st in the world in the QS World University Rankings for 2019. 02Newcastle University has been awarded gold for teaching quality by the Teaching Excellence Framework for 2017. 03The University is ranked in the top 10 in the UK for overall student experience by the Times Higher Education Student Experience Survey for 2018. Academic English is an intensive course, providing the most effective route for students to reach the academic English language level needed to progress to further study. The course offers rapid progress of up to one IELTS band per term. The English language entry requirement for this course is a minimum of IELTS 3.0. The fee listed here is for 1 term of Academic English; however, students can study this course for 1–4 terms. Students can begin the course in January 2019, April 2019, June 2019, July 2019, September 2019, January 2020, April 2020, June 2020 or July 2020. The 3 or 4-term Graduate Diploma in Architecture provides a practical introduction to architectural design, urban planning and landscape architecture. Alongside subject-specific academic modules, students will also develop their academic English, research and study skills. On successful completion of this program, students can progress to a postgraduate degree in architecture or an architecture-related subject at Newcastle University. To apply for this course, students need to meet the English language entry requirement of IELTS 5.5 (with a minimum of 5.5 in all subskills) or equivalent for the 3-term course, or IELTS 5.0 (with a minimum of 5.0 in all subskills) or equivalent for the 4-term course. Depending on which program route students take, they may be expected to provide a portfolio, statement or curriculum vitae (CV) as part of their application. The fee listed here is for the 3-term course and is subject to additional course-related fees. The 3 or 4-term International Foundation in Architecture gives students an introduction to architecture while also teaching practical skills such as sketching, documenting and drawing. Alongside subject-specific academic modules, students will also develop their English language skills and learn study skills. On successful completion of this program, students can progress to Year 1 of an undergraduate architecture degree at Newcastle University. To apply for this course, students need to meet the English language entry requirement of IELTS 5.5 (with a minimum of 4.5 in any subskill) or equivalent for the 3-term course, or IELTS 5.0 (with a minimum of 4.5 in all subskills) or equivalent for the 4-term course. Students are also expected to provide a portfolio as part of their application. The fee listed here is for the 3-term course and is subject to additional course-related fees. The 3 or 4-term International Year One in Architecture provides a practical introduction to construction materials and technologies, research methods and computer-aided drawing, learnt through an open design-studio culture. Alongside subject-specific academic modules, students will also develop their English language skills and learn study skills. On successful completion of this program, students can progress to Year 2 of a professionally-accredited undergraduate architecture degree at Newcastle University. To apply for this course, students need to meet the English language entry requirement of IELTS 6.0 (with a minimum of 5.5 in writing) or equivalent for the 3-term course, or IELTS 5.5 (with a minimum of 5.0 in writing) or equivalent for the 4-term course. Students are also expected to provide a portfolio as part of their application. The fee listed here is for the 3-term course and is subject to additional course-related fees. The 3 or 4-term International Foundation in Biomedicine, Biology and Pharmacy introduces students to biology, chemistry, mathematics and statistics, and physics. Alongside subject-specific academic modules, students will also develop their English language and learn study and ICT skills. On successful completion of this program, students can progress to Year 1 of a wide range of undergraduate degrees at Newcastle University. To apply for this course, students need to meet the English language entry requirement of IELTS 5.5 (with a minimum of 4.5 in any subskill) or equivalent for the 3-term course, or IELTS 5.0 (with a minimum of 4.5 in all subskills) or equivalent for the 4-term course. The fee listed here is for the 3-term course and is subject to additional course-related fees. The 3 or 4-term International Foundation in Business teaches students marketing theory, basic statistical concepts and methods of data analysis, and economic principles. Alongside subject-specific academic modules, students will also develop their English language skills and learn study skills. On successful completion of this program, students can progress to Year 2 of a business-related undergraduate degree at Newcastle University. To apply for this course, students need to meet the English language entry requirement of IELTS 6.0 (with a minimum of 5.5 in writing) or equivalent for the 3-term course, or IELTS 5.5 (with a minimum of 5.0 in writing) or equivalent for the 4-term course. The fee listed here is for the 3-term course and is subject to additional course-related fees. The 3 or 4-term Graduate Diploma in Business and Humanities explores aspects of financial analysis, international business and relations, economics, and social and cultural studies. Alongside subject-specific academic modules, students will also develop their English language, research and independent study skills. On successful completion of this program, students can progress a postgraduate degree at Newcastle University. To apply for this course, students need to meet the English language entry requirement of IELTS 5.5 (with a minimum of 5.5 in all subskills) or equivalent for the 3-term course, or IELTS 5.0 (with a minimum of 5.0 in all subskills) or equivalent for the 4-term course. The fee listed here is for the 3-term course and is subject to additional course-related fees. The 3 or 4-term International Foundation in Business and Management introduces students to accounting, business and mathematics for business. Alongside subject-specific academic modules, students will also develop their English language, study, research and ICT skills. On successful completion of this program, students can progress to Year 1 of an undergraduate degree in a related subject at Newcastle University. The 3 or 4-term International Foundation in Humanities and Social Sciences introduces students to British institutions and culture, sociology, and social sciences and humanities. Alongside subject-specific academic modules, students will also develop their English language and learn study, research and ICT skills. On successful completion of this program, students can progress to Year 1 of an undergraduate degree in a related subject at Newcastle University. The 3 or 4-term Graduate Diploma in Music will engage students in instrumental or vocal performance or original composition, as well as exploring the history of music. Alongside subject-specific academic modules, students will also develop their English language, research and study skills. On successful completion of this program, students can progress a postgraduate Music degree at Newcastle University. To apply for this course, students need to meet the English language entry requirement of IELTS 5.5 (with a minimum of 5.5 in all subskills) or equivalent for the 3-term course, or IELTS 5.0 (with a minimum of 5.0 in all subskills) or equivalent for the 4-term course. Students are also required to have a relevant music background. The fee listed here is for the 3-term course and is subject to additional course-related fees. The Pre-sessional English course is designed for students who already hold an offer from Newcastle University and are academically qualified but need to improve their English before starting their degree. The course focuses on content-specific vocabulary, grammar, style and structure, and provides an opportunity for students to practise speaking English on topics related to their degree. The English language entry requirement for this course is IELTS 6.0 overall (with a minimum of 5.5 in all subskills) for the 6-week course, or IELTS 5.5 overall (with a minimum of 5.0 in all subskills) for the 10-week course. The fee listed here is for the 6-week course; a 10-week course is also available. Students can begin the course in June or July 2019 and June or July 2020. Please note: the price indicated is for the current academic year and is for indicative purposes only. This price is subject to an increase of up to 4%. The 3 or 4-term International Foundation in Science, Computing, Engineering and Mathematics develops students’ knowledge of physics, mathematics, computer science and chemistry. Alongside subject-specific academic modules, students will also develop their English language, study, research and ICT skills. On successful completion of this program, students can progress to Year 1 of an undergraduate degree in a related subject at Newcastle University. Study Abroad with English is ideal for students who want to improve their English language skills while spending time in the UK. The course combines English language study with the chance to take academic modules at Newcastle University, and gain credits towards an undergraduate degree in the student’s home country. The English language entry requirement for this course is from IELTS 5.0 or equivalent. The fee listed here is for 2 terms of Study Abroad with English; however, students can study this course for 2–4 terms. Students can begin the course in April, June or September 2019 or April or June 2020. Please note: the price indicated is for the current academic year and is for indicative purposes only. This price is subject to an increase of up to 4%. INTO and Newcastle University offer a range of scholarships for eligible students. Pathway program scholarships, for students starting an International Foundation, are worth 100% of tuition fees. Additionally, scholarships are available for students progressing from a pathway program to a degree at Newcastle University. Scholarships are open to all students to apply, no matter what their background or financial circumstance. Newcastle University is a member of the prestigious Russell Group. 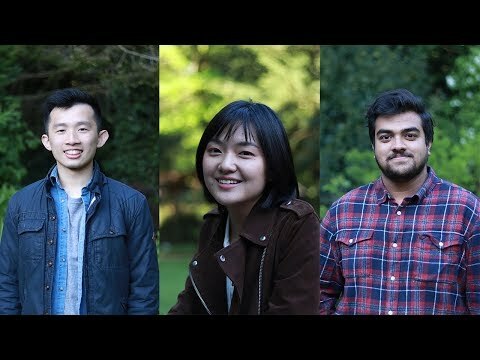 How to have a successful transition to university Kenny from Hong Kong, Abdullah from Bangladesh and Georgina from China talk about their own successful transitions to university. Newcastle: a city for international students As student cities go, this is one of the best. Business Pathways You will have lectures and seminars, group work, computer sessions and also study clinics, where you will receive one-to-one guidance from your teacher. Student experience, ranking and facilities at INTO Newcastle University Newcastle University is part of the Russell Group which is the top 24 universities in the country for research for teaching. Russia to the UK: Kirill's student life In this diary-style series we explore how students felt before they left their home country, when they landed in the UK and what it was like settling in to their new home. Prepare for Success with a Pathway Program! I've studied in business school, The infrastructure provided by university was excellent, library open for 24 hours, staff are warm and helpful. The quality of lecturer are good, I really enjoy studying here, especially the city are compact and reachable. Everything can be reached for about 10 - 15 minutes walk. Well equipped university with experienced tutors open up my mind and career in the field of geotechnical engineering.